Providing a modern and comprehensive approach to food allergy management including oral immunotherapy (OIT). 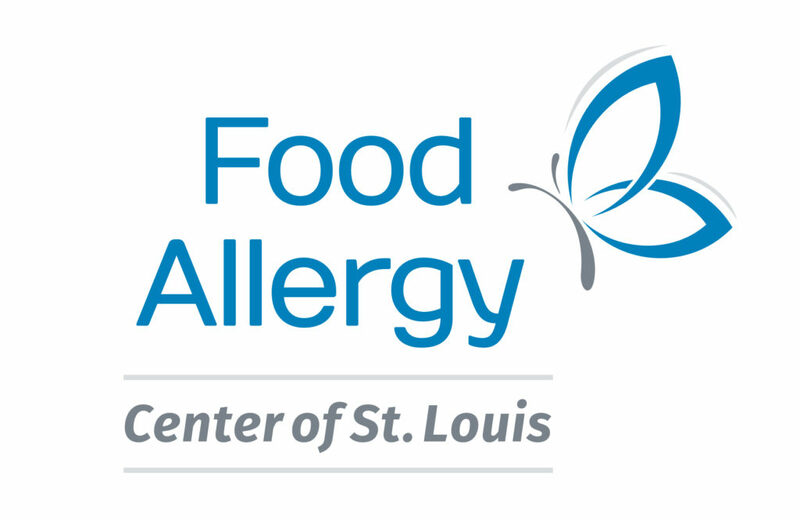 The Food Allergy Center of St. Louis ®, a division of Allergy, Asthma & Food Allergy Centers of St. Louis, has been offering food “OIT” or oral immunotherapy/food desensitization to treat life threatening (anaphylactic) food allergies since 2016, when our first patient (the daughter of one of our providers) was desensitized to peanut when she was 9 years old. Since then, more than 90 individuals with over 100 graduations have successfully completed OIT to foods and more than 100 additional patients are currently going through customized OIT programs for foods including milk/dairy, eggs, wheat, soy, peanut, and tree nuts. At the end of the active treatment phase, the vast majority of food allergic patients are able to safely consume the food without having reactions. Oral Immunotherapy (OIT) is the process of desensitizing someone to a food to which they are allergic by giving very tiny doses of that food and slowly increasing the amount of the dose over time. It is a way to get a person who has a life-threatening food allergy to be able to consume the food without having a reaction. This is not necessarily a “cure” for food allergies, and people need to consume the food on a daily basis to prevent reactions in most cases. They should also continue to have access to their epinephrine autoinjectors. However, promising studies suggest many children (especially younger children) may not have to consume the food daily after several years on maintenance therapy to be protected. Modified rush desensitization (“Day 1”)– Patients are in the office for 5-6 hours and start with minuscule amounts of the offending food with increasing doses and are discharged with a small daily dose of the food which is consumed daily at home. Build up dosing (“dose escalation” or “up-dosing”) phase– Over approximately 6 months, the amount of the food consumed is increased, usually every 1-2 weeks, under medical supervision in the office. Patients usually need to budget an hour of time for these visits. Maintenance phase– After approximately 6-8 months, patients are challenged with a large serving of the food of concern (ex. 24 peanuts or 8 ounces of milk) and observed for 2 hours. If they pass the challenge, the will continue to consume the food daily at home. In some cases, families may choose to stop at lower doses such as 4-8 peanuts or individual tree nuts, especially when doing OIT for multiple nuts to have reasonable daily portions! OIT is very effective with over 85% of patients able to successfully go through OIT. What are the goals of OIT? The primary goal of OIT is to prevent an episode of anaphylaxis (severe life-threatening allergic reaction) with accidental ingestion of an allergen such as peanut. However, most individuals who go through OIT will eventually be able to consume the allergenic food and incorporate it into their diet. What are the risks/side effects associated with OIT? The most common side effects are some itchy mouth/throat and abdominal pain/discomfort. The main and most serious risk when going through the OIT process is having a serious allergic reaction or anaphylaxis. While this is a significant concern, a large study on OIT found that only 95 doses of epinephrine were used for over 240,000 OIT doses, which is a risk of 0.04%, and for most families, the benefits far outweigh the risks. Published studies have reported a 3-5% risk of developing an inflammatory condition of the esophagus called eosinophilic esophagitis or “EoE”. If EoE develops, stopping or slowing down the OIT process generally resolves this condition. How young can OIT be initiated? Is OIT a new treatment for food allergies? OIT has been offered by board-certified allergists across the country since at least 2008, but there are reports of OIT being done successfully from over 100 years ago. Why choose the Food Allergy Center of St. Louis? Diagnosis and management of food allergies is in our practice mission statement. This was a deliberate choice, because we are dedicated to helping families manage and overcome life-threatening food allergies. Our providers are community leaders in food allergy and have been providing OIT services in the St. Louis region since 2016, and were the first to offer this protective treatment in our community. Every individual provider at the Food Allergy Center of St. Louis has more experience with OIT than any allergist in the greater St. Louis area and beyond (within a near 4 hour driving radius). Fellow allergists in the community have directed patients to our practice to discuss food allergy treatment options for years. Families have driven from Iowa, Arkansas, Tennessee, Illinois, and all throughout Missouri to see our providers. We have had over 100 graduations in our OIT program as well as over 100 active patients in various stages of the process. We have published our experience with OIT in the Journal of Allergy and Clinical Immunology. We welcome all ages to discuss OIT. In fact, while the majority of OIT providers in the entire U.S. do not offer OIT to children younger than 2 years-old, our practice has extensive experience desensitizing infants as young as 6 months of age. We understand that one size does NOT fit all, which is why we customize the OIT process for each individual. Our providers have unique insights into food allergy, because they have personal experience with anaphylactic food allergies in their own families. Where can I obtain more information on OIT? Additional information on OIT can also be found at OIT101, which is a fantastic resource for those wanting to read more about OIT. You can also read more about OIT on our blog and at OIT 101. Please note that your first consultation visit regarding OIT will be primarily focused on discussing food allergy and OIT, and follow up visits may be required to optimize asthma and other allergic conditions to safely go through OIT. We look forward to partnering with you and your family to improve health outcomes!